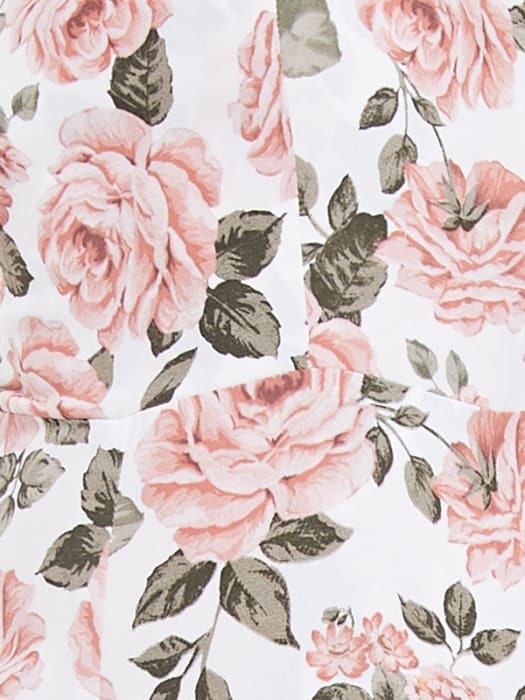 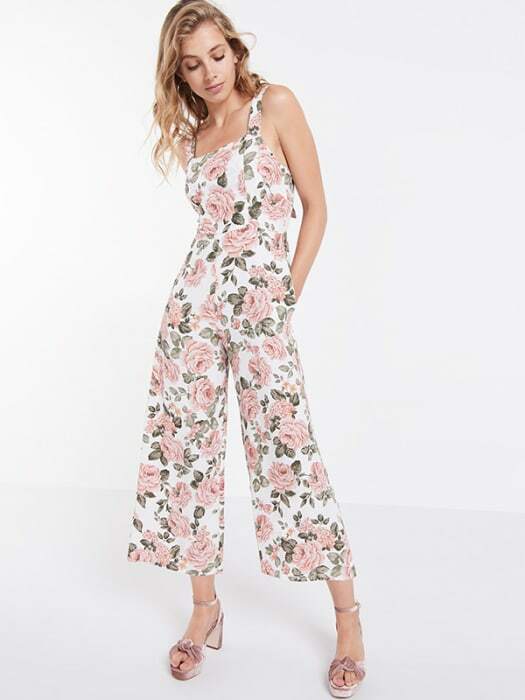 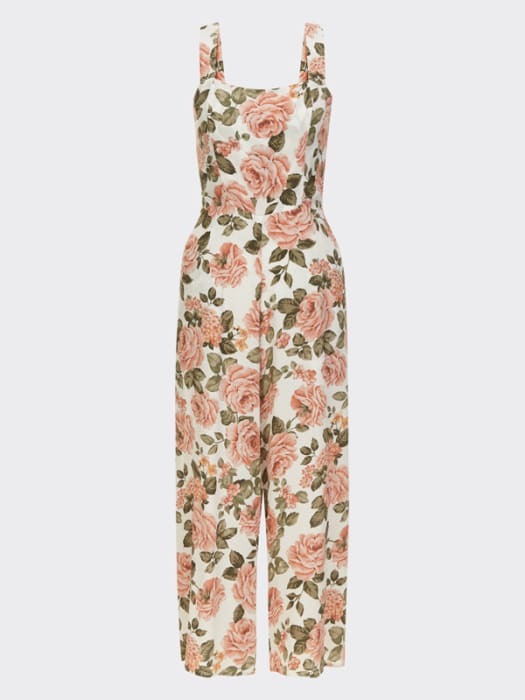 Step straight into new season with this cream Culotte Jumpsuit, patterned in vintage roses. 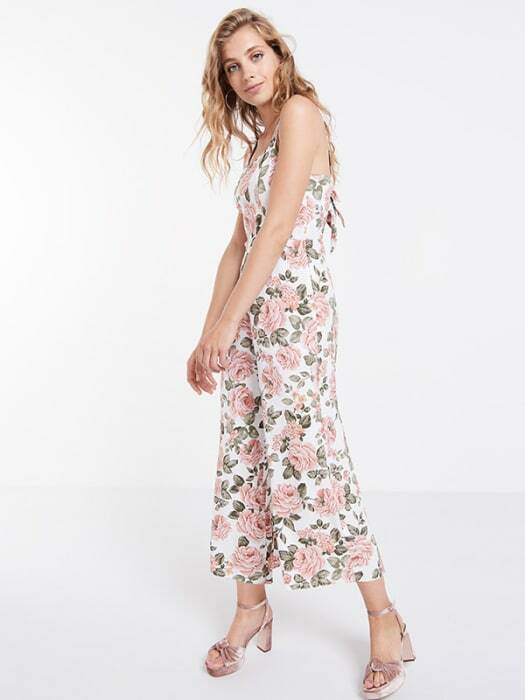 The awk-length wide leg trousers are firmly on the style slate, while the tailored shaping around the waist ensures a form-flattering fit. 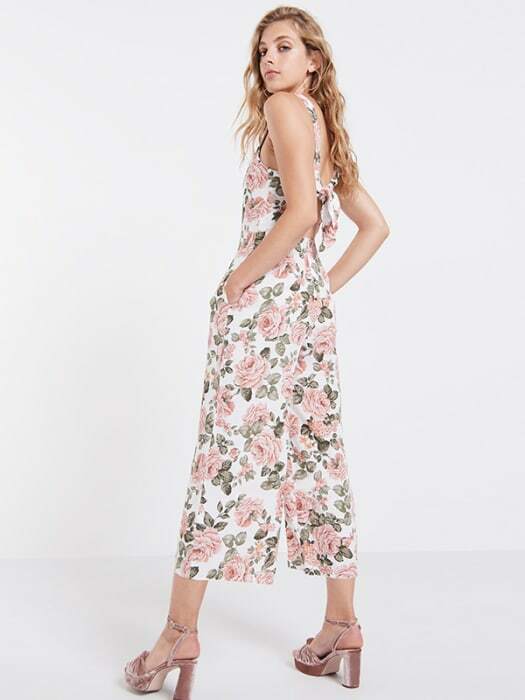 Team with trainers for urban-cool, heels for when you need to, you know, step things up!